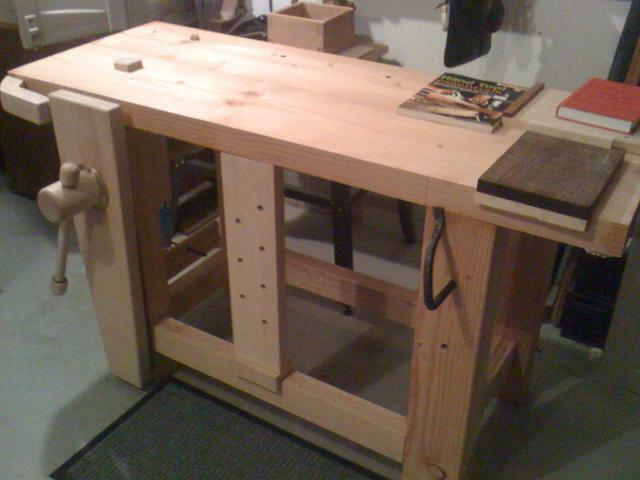 Adding our November 2010 Workbench of the Month from Thomas D. of Camas, Washington to our Lake Erie Toolworks Blog for ease of access and historical awareness. 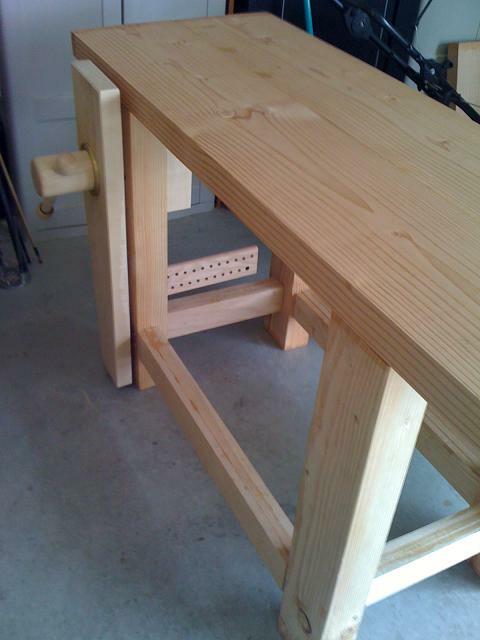 Attached are a couple of photos of a Roubo bench I built this summer. My first attempt at something like this. And, of course I used a Lake Erie Vise Screw. I used 4X6s for the legs and oak boards for the stretchers. 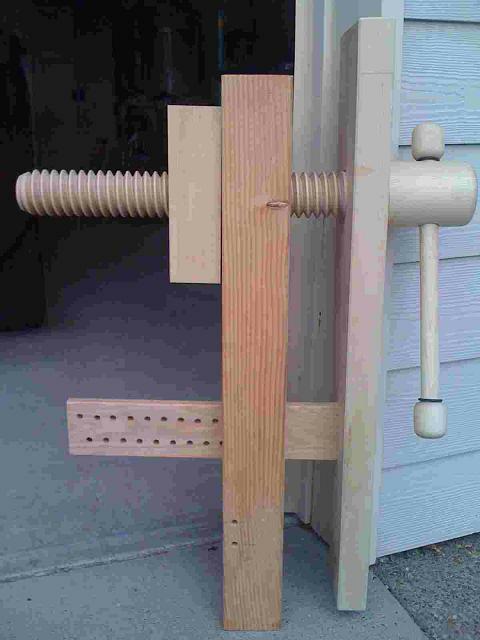 The vise, crochet, deadman and bench stop are all hard maple. The top is made of two 3x11x60 inch doug fir planks edge glued together. Getting the top flat has been a bit of a problem using my hand planes – I consider it a work in progress. When I get it flat enough, I’ll put some tung oil finish on it. But the bench is massive and steady and holds my work well. 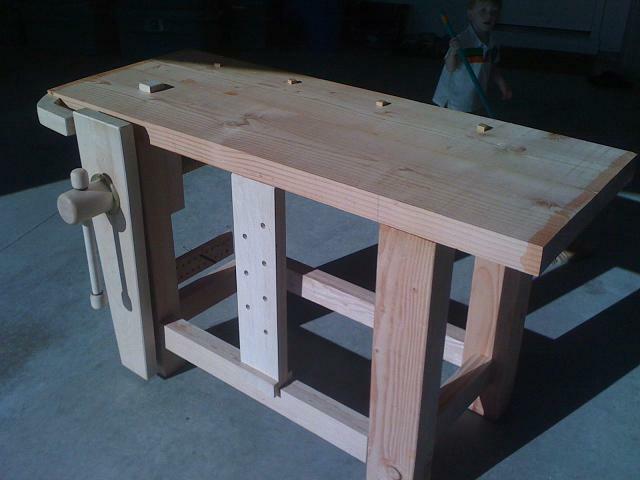 I used all hand tools in the construction except for cheating with a drill press to help with the mortises and the huge hole for the vise screw.